Pansies at their fullest right now – just in time for Mother’s Day! First of all, I would like to say that I hope all the Moms out there had a very Happy Mother’s Day! Did you know that there are more flowers sent for Mother’s Day than Valentine’s Day — interesting statistic! The old adage “April showers bring May flowers” is very true this year. 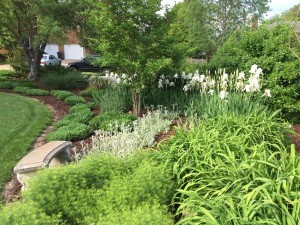 Suddenly, the gardens have sprung to life around here. We went from a freeze warning to 90-degree days in less than a week, and that brought on an amazing array of beautiful flowers overnight! The grass is growing about six to seven inches in a week. 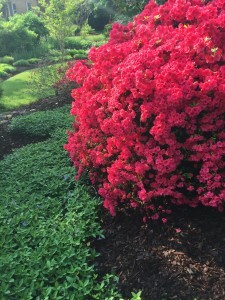 I hope that you are enjoying the warmer weather, and I have some tips for how to manage some of the spring tasks ahead. 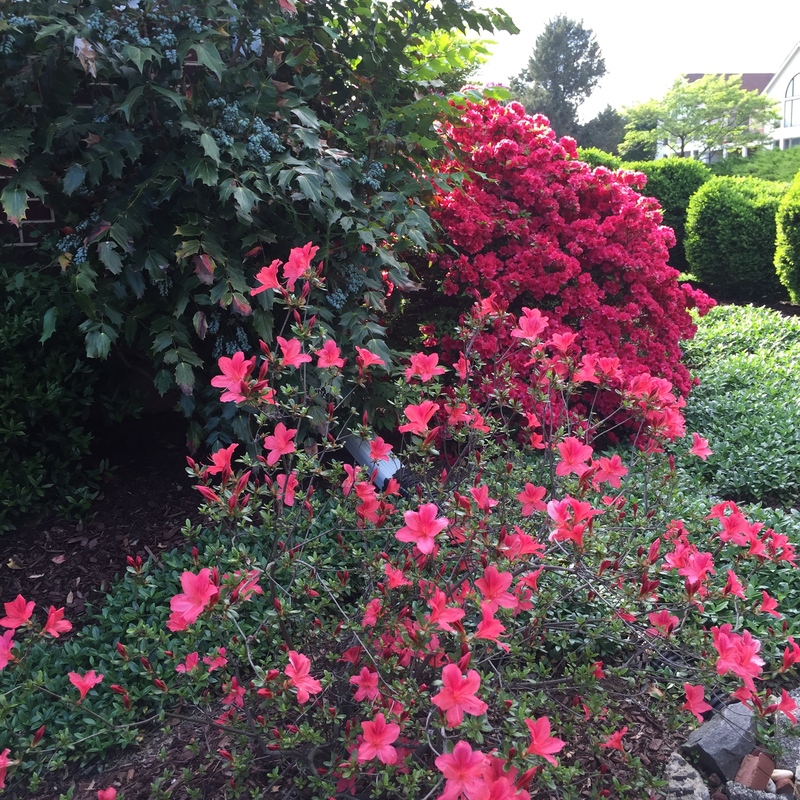 The azalea and periwinkle bloomed at the same time this year. 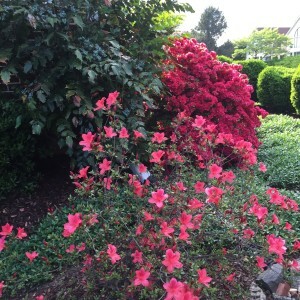 This season came on so fast that almost all of my spring blooming plants are flowering all at once, creating fun combinations that almost never happen. Right now, the periwinkle, rhododendron and azalea are blooming together, and before that the Pear, Cherry and Dogwood trees all bloomed at the same time. Normally these are all spaced about two weeks apart, so it has created a magical display. The pollen is out in force, too, but we won’t talk about that… A-choo! 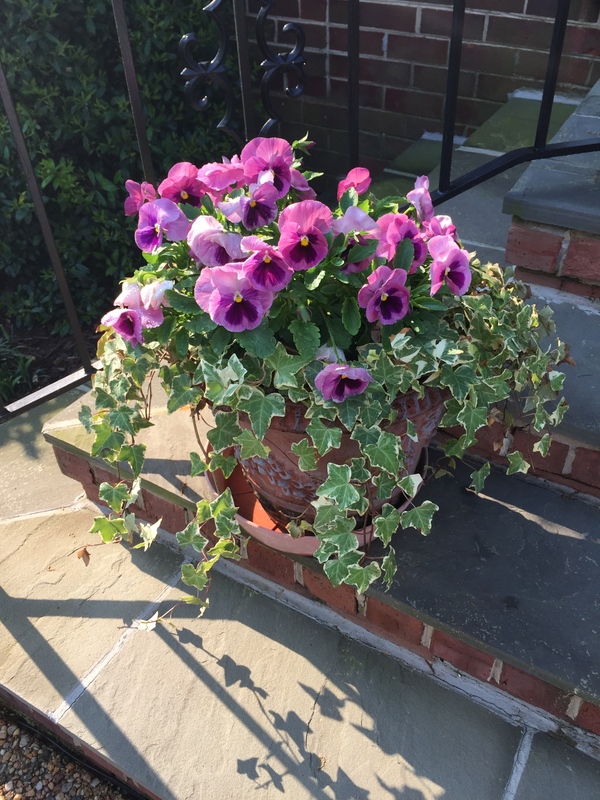 Since the overnight temps were still dipping too low to mulch the grass clippings (the overnight lows need to be above 55 degrees), I want to share a tip that your flowers are going to love. Just take the grass clippings and spread them on your flower beds about 3 to 4 inches thick, then turn them into the soil with a spading fork. This will lighten the soil and nourish the bed. Spade-in excess grass clippings now, for a terrific flower bed in a few weeks. Let the garden rest for a couple of weeks until the clippings turn brown and it’s warm enough to plant your summer annuals. If you do this, I promise you will be rewarded with flowers that grow twice as big. I like to top dress the beds with a little mulch after the flowers are planted to help keep the moisture in the soil, too. 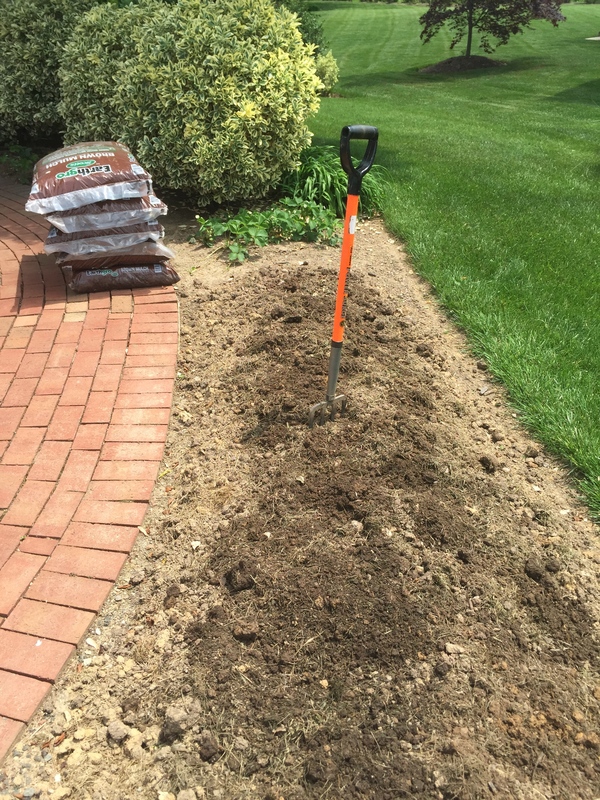 In garden beds that have been established/planted you might stir in some leaf compost around the base of the plants instead. We had a pretty harsh winter for this region and I lost a few plants, but I’m having fun filling in the spots with some transplants from other areas. Seems there is always change in the air around here, but that is what keeps it interesting. 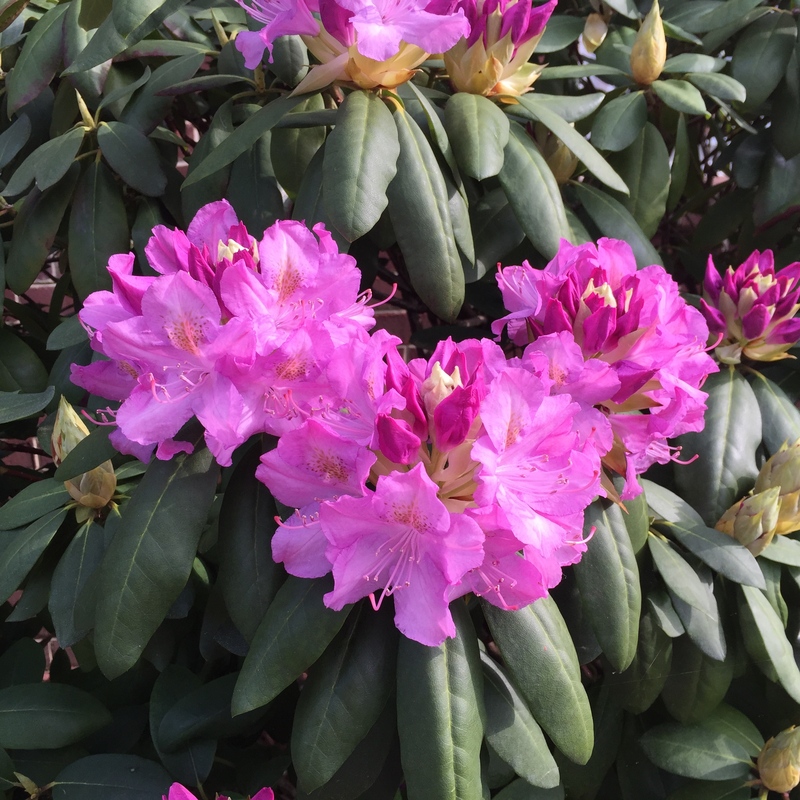 The rhododendron are so full of flowers. A welcome sight after a cold winter. 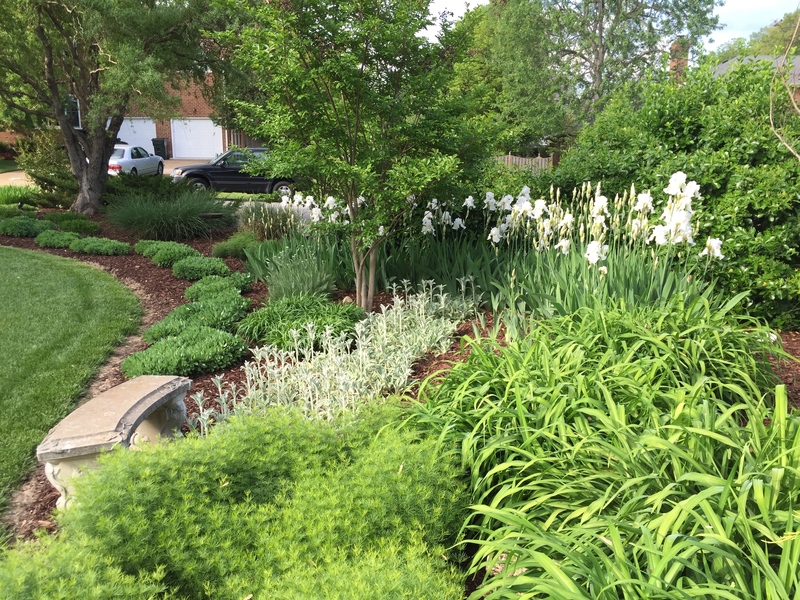 The white iris is even taller than usual this year — almost four feet tall! 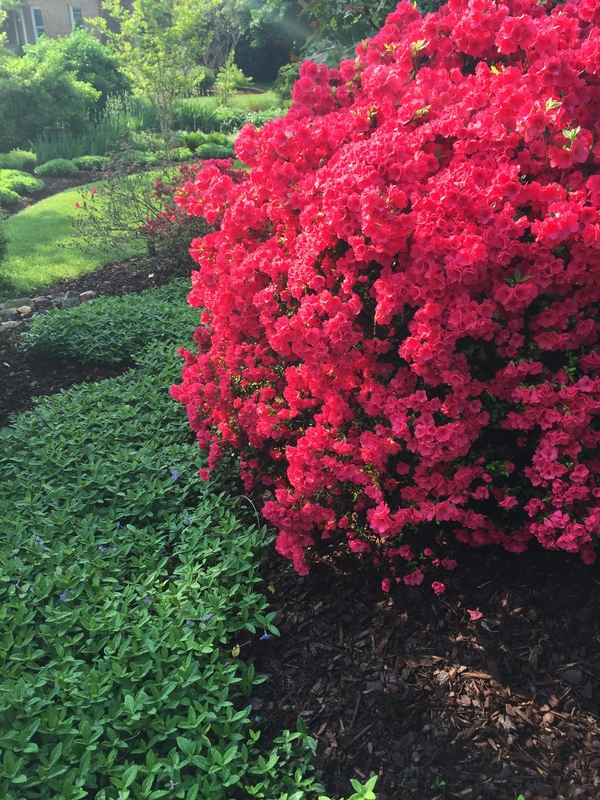 One more shot of the azaleas — Happy Spring!